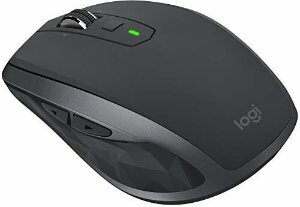 Amazon.com offers the Logitech MX ANYWHERE 2S Wireless Mouse for $49. Features: Meet the compact and powerful MX Anywhere 2S, the mouse that gives you superpowers. MX Anywhere 2S works wherever you do – coffee shops, airplane seats, hotel rooms, and off-site meetings – and works seamlessly across three computers including navigating and copy-pasting between them.